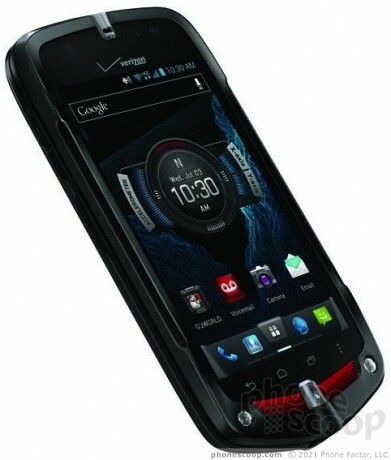 Verizon Wireless today announced the Casio G'zOne Commando 4G LTE, an update to last year's model. The Commando is a fully ruggedized Android smartphone that can withstand shock, dust, water, fog, sand, and extreme temperatures. It features Casio's G'zWorld app and Gz'Gear sensor for mapping and interacting with the outside world, and can provide information on tides, constellations, barometric pressure, and more. The device has an 8-megapixel camera that can record 1080p HD video and slow-motion video. It also has a 1.3-megapixel camera facing the user for video chats and self portraits. The touch display measures 4 inches, had 800 x 480 pixels, is protected by Gorilla Glass 2, and features Glove Mode, which allows the Commando to be used when wearing gloves. It is powered by a 1.5GHz dual-core processor, has 1GB of RAM, 16GB of storage, and supports microSD cards up to 64GB. The Casio G'zOne Commando 4G LTE is a global device, and goes on sale June 27 for $99.99 after $50 mail-in rebate. Documents seen on the Federal Communications Commission web site provide details about a previously unannounced device from Casio. The FCC confirms that the Casio C811 runs on an LTE frequency used by Verizon Wireless, in addition to Verizon's CDMA frequencies. The recently-announced Casio Gz'One Commando 4G LTE can connect with the Casio G-Shock Watch and share information via various Bluetooth 4.0 Low Energy profiles. Both the phone and the watch are ruggedized products, making them an ideal pair, and are among the first to use some of these profiles. Garmin this week announced its inReach series of satellite communicators. These standalone handheld devices can also be paired with any Android, iOS or Windows 10 smartphone to provide satellite-based text messaging and GPS mapping on your phone even where there is no cellular coverage.